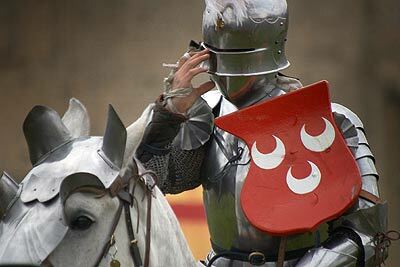 The Knights Tournament was an event organised by the English Heritage where four teams of 15th-century knights competed at jousting, archery, sword fighting and a series of mounted skills. 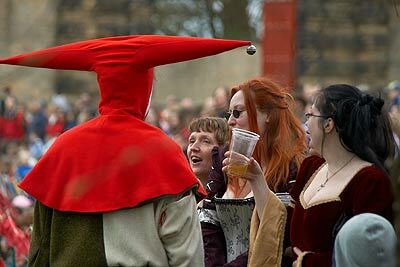 While the events were running the crowd were treated to falconary displays, jesters, and musicians, while people dress up to re-enact those bygone days. It was a great event for photographers, although it was essential to speak with the event marshalls before hand to ensure you got a good vantage point to gain best photographic views of the displays. 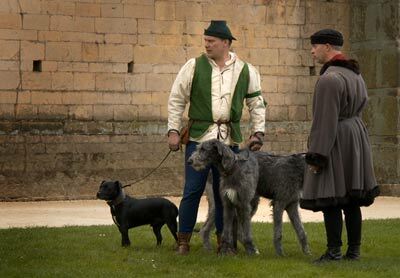 Servents walking dogs, Knights Tournament at Bolsover Castle. 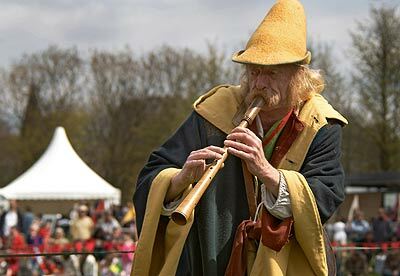 Jester entertains, Knights Tournament at Bolsover Castle. 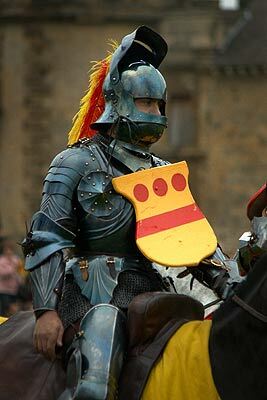 Sir Thomas Heron for South, Knights Tournament at Bolsover Castle. Musician at Knights Tournament at Bolsover Castle. 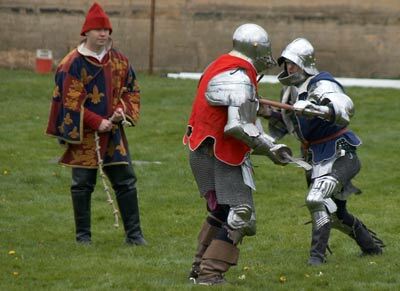 South (red) battles with North (blue) in Foot Combat, Knights Tournament at Bolsover Castle. 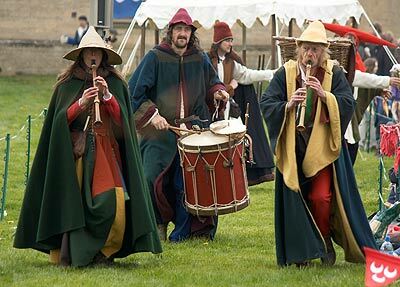 Musicians at Knights Tournament at Bolsover Castle. 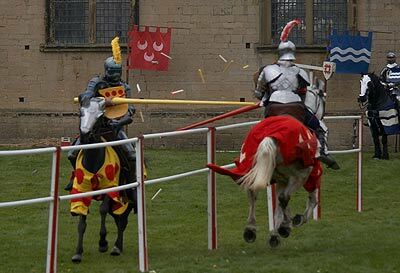 Sir George Melton (yellow) jousts against Sir Thomas Heron (red), Knights Tournament at Bolsover Castle. 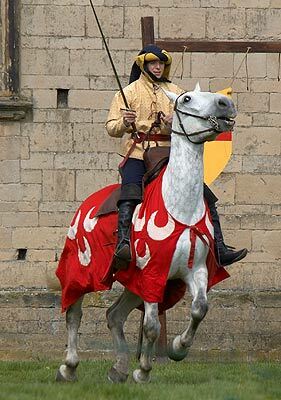 Sir George Melton prepares for battle, Knights Tournament at Bolsover Castle. 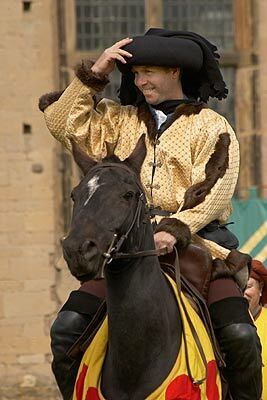 Sir George Melton greets the crowd, Knights Tournament at Bolsover Castle.